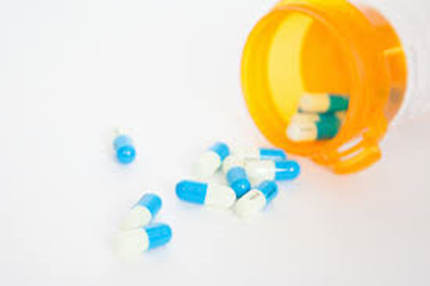 Opioids are pain medications prescribed by doctors to help patients with severe pain after surgery or serious injuries, such as oxycodone (OxyContin), hydrocodone (Vicodin), codeine, morphine, and many others. Opioids also include the illegal drug such as heroin and synthetic opioids called fentanyl. Regular use—even as prescribed by a doctor—can lead to addiction and, when misused, opioid pain relievers can lead to overdose incidents and deaths. What does it mean opioid misuse? Opioids can cause a person to feel relaxed and euphoric by affecting areas of the brain that deal with feelings of pleasure. These feelings can be intensified when opioids are abused using routes of administration other than what is recommended. If this process is repeated it can lead to addiction. What negative effects can be associated with opioids? Opioids can cause drowsiness, cause constipation, severe breathing problems and death. If someone you know is abusing prescription drugs encourage him or her to talk to a parent, school guidance counselor, physician or other trusted adult. You can dispose prescription medications at the police station drop off box. You can just walk in, no questions will be asked. Just drop it!